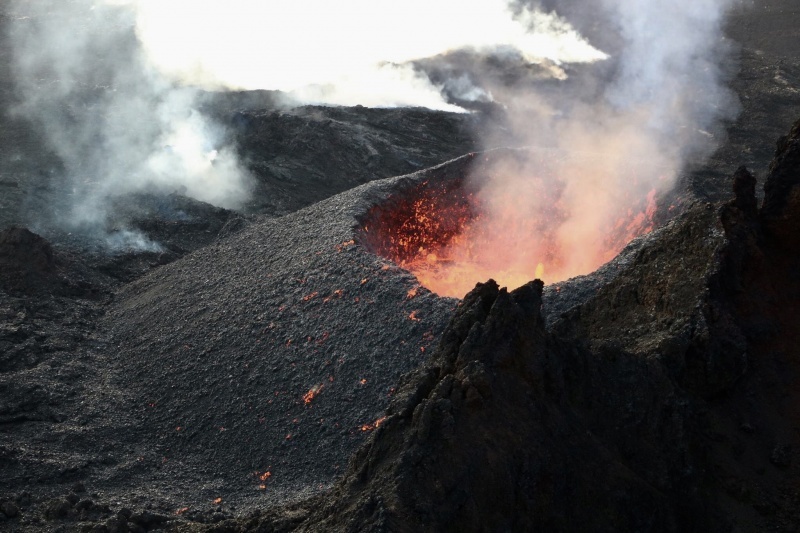 le chaudron de vulcain – March 06 , 2019. EN. La Réunion : Piton de la Fournaise , Colombia : Nevado del Huila , Hawaii : Kilauea , Guatemala : Santiaguito , Costa Rica : Turrialba / Poas . March 06 , 2019. EN. La Réunion : Piton de la Fournaise , Colombia : Nevado del Huila , Hawaii : Kilauea , Guatemala : Santiaguito , Costa Rica : Turrialba / Poas . Home / blog georges Vitton / March 06 , 2019. EN. 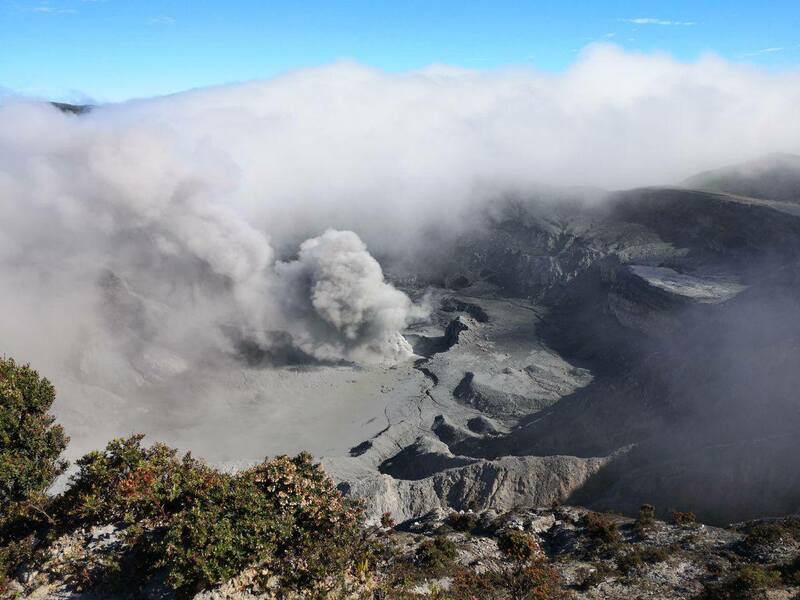 La Réunion : Piton de la Fournaise , Colombia : Nevado del Huila , Hawaii : Kilauea , Guatemala : Santiaguito , Costa Rica : Turrialba / Poas . Activity Bulletin from Tuesday, March 5, 2019 to 17:30 (local time). 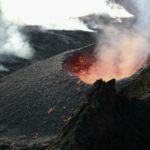 The eruptive activity that resumed on February 19, 2019 at Piton de la Fournaise around 7:10 pm local time continues. Despite slight fluctuations in intensity and an upward trend in recent days, tremor intensity has remained relatively constant for 24 hours (Figure 1). – Over the past 36 hours, 4 superficial superficial volcano-tectonic earthquakes (above sea level) have been recorded. – After a deflation of the building related to the transfer of magma that occurred on 18/02/2019, the deformations of the summit zone do not show any particular signals. 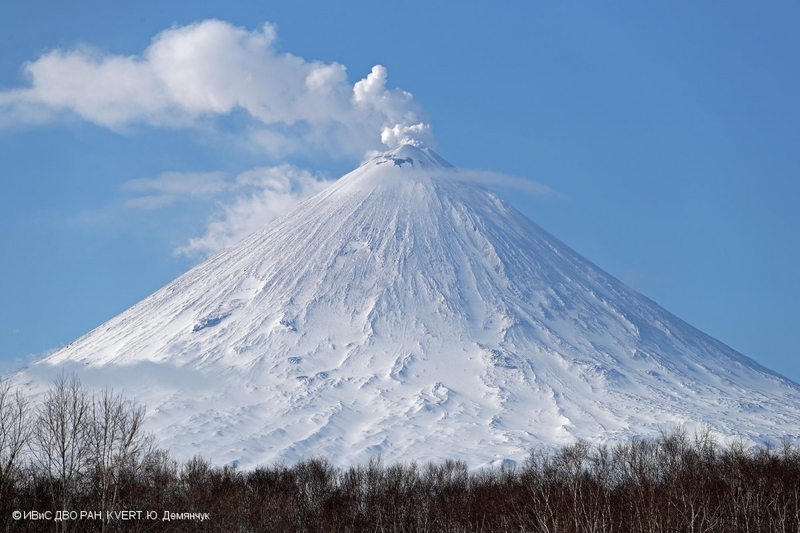 – The CO2 concentrations in the near-field soil (cottage volcano area) remain high. – Over the last 36 hours, surface flows estimated from satellite data, via the HOTVOLC platform (OPGC – University of Auvergne), fluctuated between <1 and 7 m3 / s. Note that low values (or zero values) are recorded when cloud cover does not allow acquisition.
. to finish the GPS reiteration measurements at the terminal cone.
. the absence of plume of smoke at the flow front. 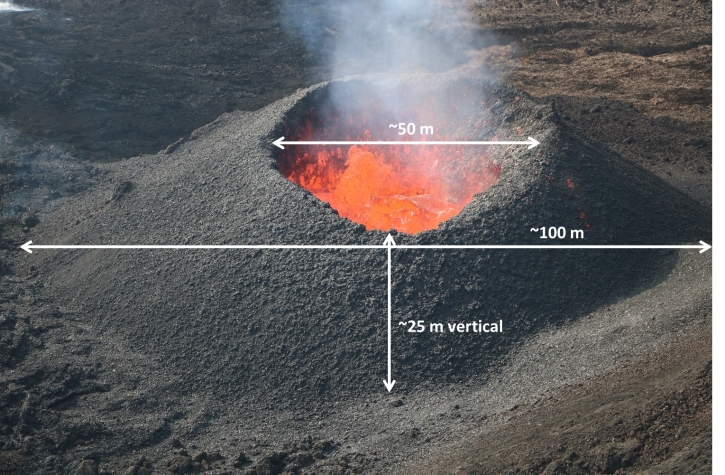 Figure 3: Size of the eruptive cone on March 5, 2019, 8:30 am local time. (© OVPF / IPGP). The level of activity of the volcano continues at the level: yellow activity level or (III): changes in the behavior of volcanic activity. During the evaluated period, 1146 seismic events were recorded, 900 related to rock fracturing processes (type VT) and 246 to fluid dynamics in volcanic canals. Of these, 233 were classified as long period type events (LP type) and 13 as low energy tremor pulses (TR type). VT type seismicity north-east of the volcano continues to be recorded, at a distance from the central peak between 10 and 20 km and a depth of between 4 and 15 km. Among these events are three earthquakes of magnitude 3.6 and 3.9 ML presented on February 26 and one of magnitude 3.3 ML recorded on March 4. It should also be noted that the average occurrence of these events decreased daily during this period. On March 1, a mobile SO2 measurement was carried out between the cities of Tunia and Santander de Quilichao (Cauca). 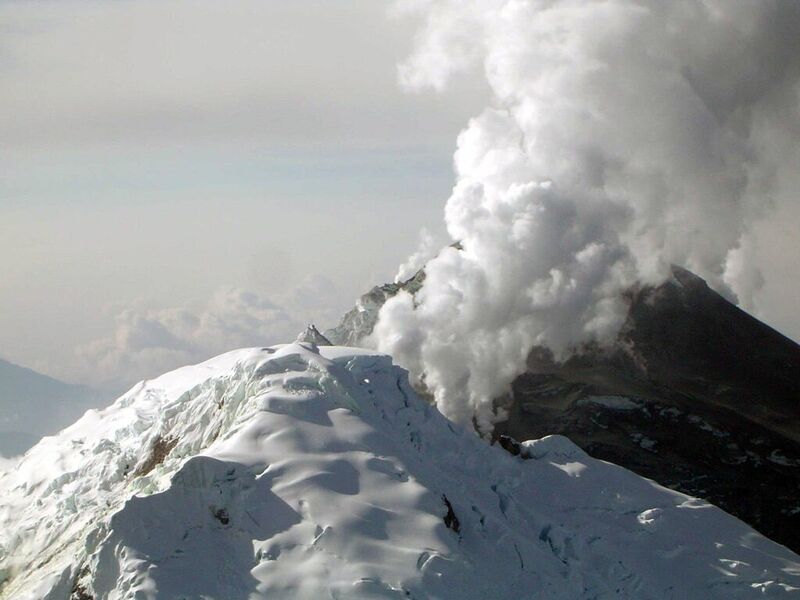 The calculated flow rate was 1106 t / d, with a column dispersed to the southwest of the Nevado del Huila volcano. The images obtained during the week by the web cameras of Caloto, Tafxnú, Maravillas and La Palma showed a weak degassing of the volcanic system. 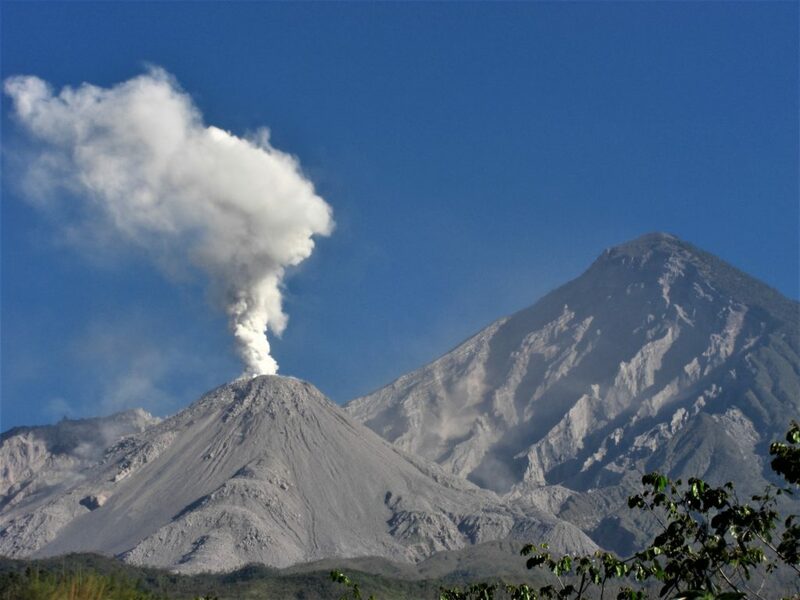 Sensors for the monitoring of soil deformation, magnetic fields and infrasound waves have not recorded any variations associated with changes in volcanic activity. It is recalled that, although the VT earthquakes are located in the area of ​​influence of the Nevado del Huila volcano, which is a tectonically active zone, they did not affect the other parameters of volcanic monitoring. Therefore, the level of activity of the volcano has not changed, which continues to Amarillo or Level III. Kīlauea Volcano is not erupting. Rates of seismicity, deformation, and gas emissions have not changed significantly over the past week. This past week saw no significant change in volcanic activity. Low rates of seismicity continue across the volcano, with earthquakes occurring primarily in the summit and south flank regions. GPS stations and tiltmeters continue to show motions consistent with refilling of the deep East Rift Zone magma reservoir. Sulfur dioxide emission rates from the summit and from Puʻu ʻŌʻō remain low. These rates have been steady over the past several weeks. 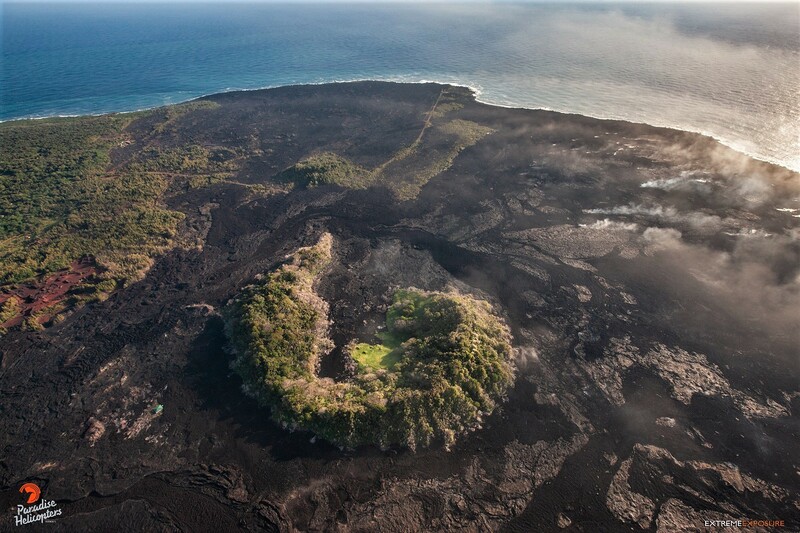 An overhead view of Kapoho Crater, showing the still smoldering Kapoho coast. Hazards remain in the lower East Rift Zone eruption area and at the Kīlauea summit. 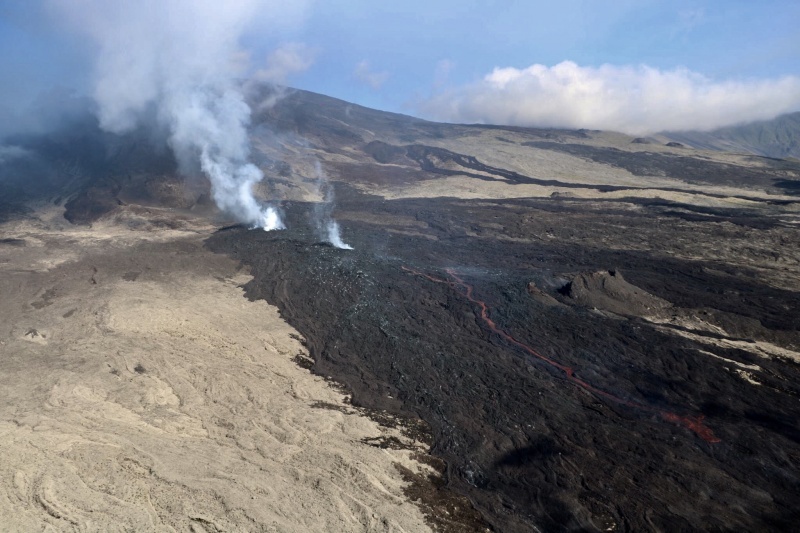 Residents and visitors near the 2018 fissures, lava flows, and summit collapse area should heed Hawaii County Civil Defense and National Park warnings. Please note that Hawaii County maintains a closure of the entire lava flow field and eruptive vents, prohibiting access unless authorized through Civil Defense. 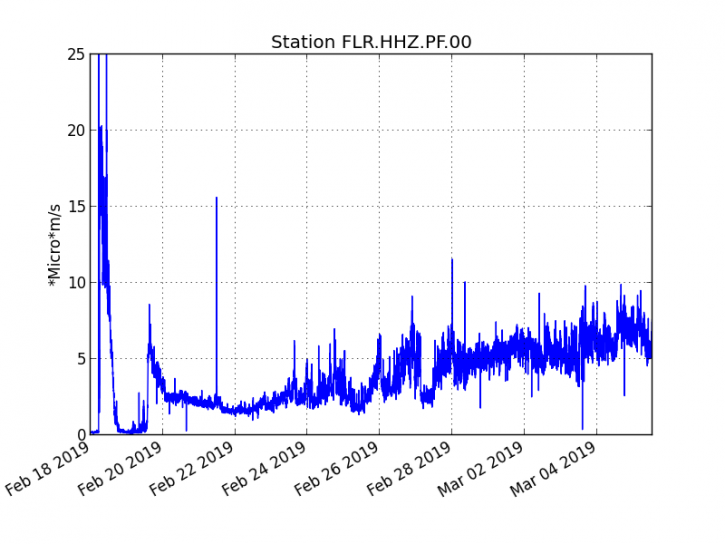 The Hawaiian Volcano Observatory (HVO) continues to closely monitor Kīlauea’s seismicity, deformation, and gas emissions for any sign of increased activity. 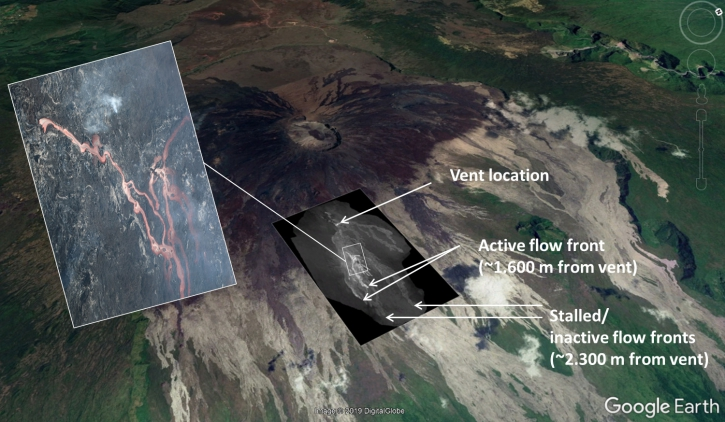 HVO maintains visual surveillance of the volcano with web cameras and occasional field visits. HVO will continue to issue a weekly update (every Tuesday) and additional messages as warranted by changing activity. Photo : Bruce Omori . Geographical location: 14 ° 44 ’33 ˝ Latitude N; 91 ° 34’13˝ Longitude O. 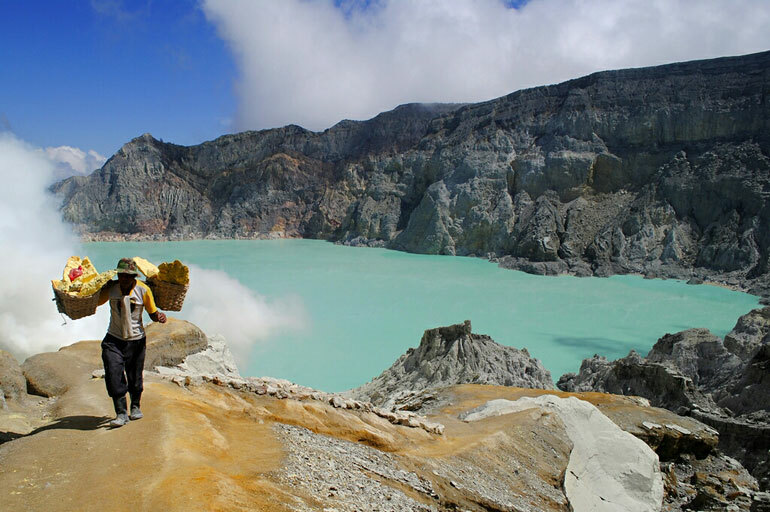 Presence of white degassing at a height of 400 m above the crater that the wind disperses to the southwest. 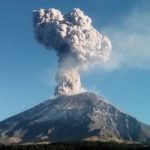 Seismic stations recorded 15 low explosions in the last 24 hours, raising white ash columns at 3000 – 3200 meters (9840-10500 feet), dispersing to the southwest. At 21:55, March 04, a moderate explosion with a sound similar to an airplane turbine audible 10 km to the West, Southwest, South and Southeast was generated. 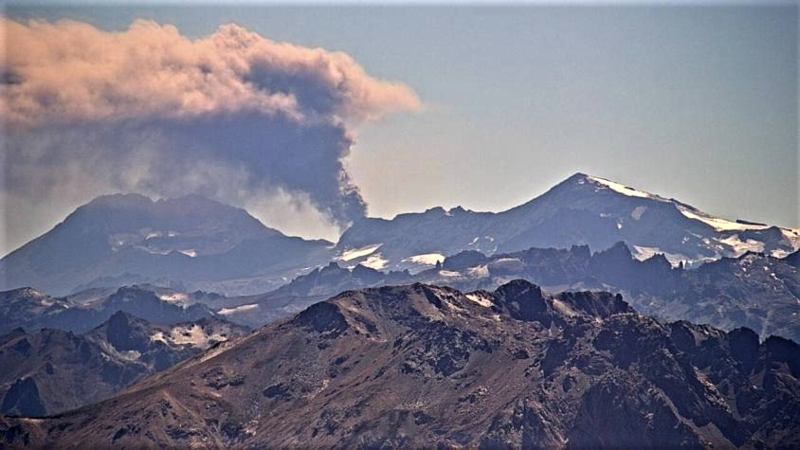 This explosion generated an incandescence at a height of 100 m above the crater, weak / moderate avalanches on the east and south-east flanks that reached the base of the Caliente dome, and a slight fall of fine particles of ash in the volcanic perimeter. Photo : Annie Winson / earthobservatory.sg. 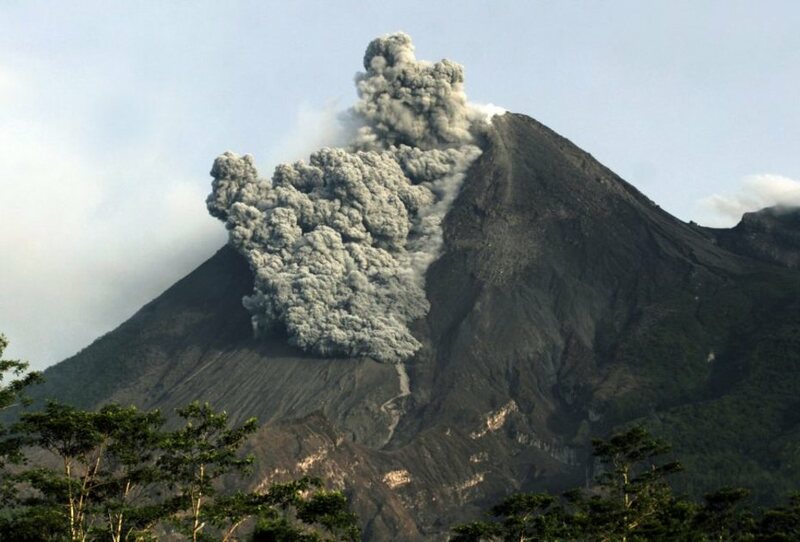 Daily report of the state of volcanoes. Date: March 4, 2019, Updated at: 10:57:00. 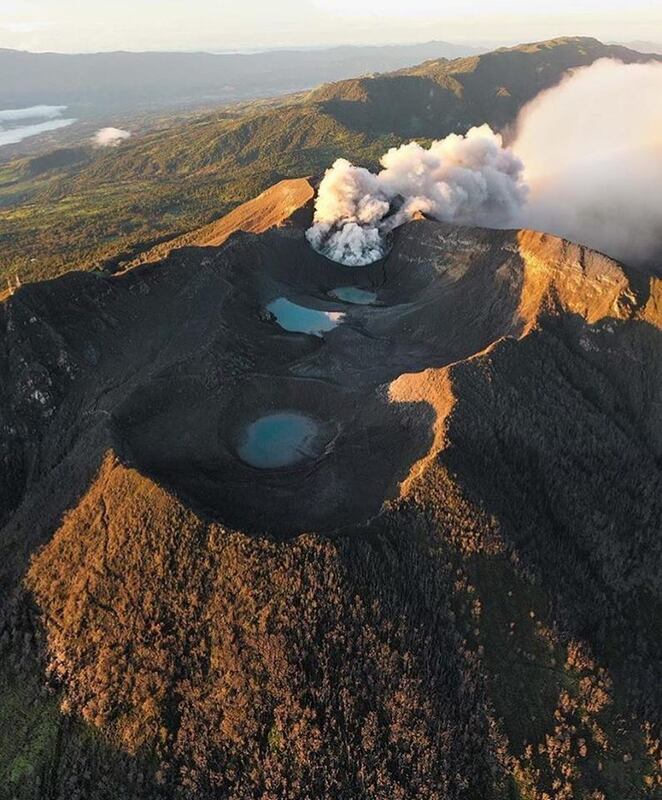 Since 2 March 2019, there has been a continuous eruption on the Turrialba volcano, with a column rising 300 meters above crater height and 3640 meters above sea level. (meters above sea level, 11939.2 ft). At the time of writing, winds are blowing from the southwest. The eruption continues with diluted ash emissions. No ash drop has been reported. Degassing (especially water vapor) continues from mouth A (old dome). No smell of sulfur or ash emission is reported. 06 Mars 2019. FR. La Réunion : Piton de la Fournaise , Colombie : Nevado del Huila , Hawaii : Kilauea , Guatemala : Santiaguito , Costa Rica : Turrialba / Poas .